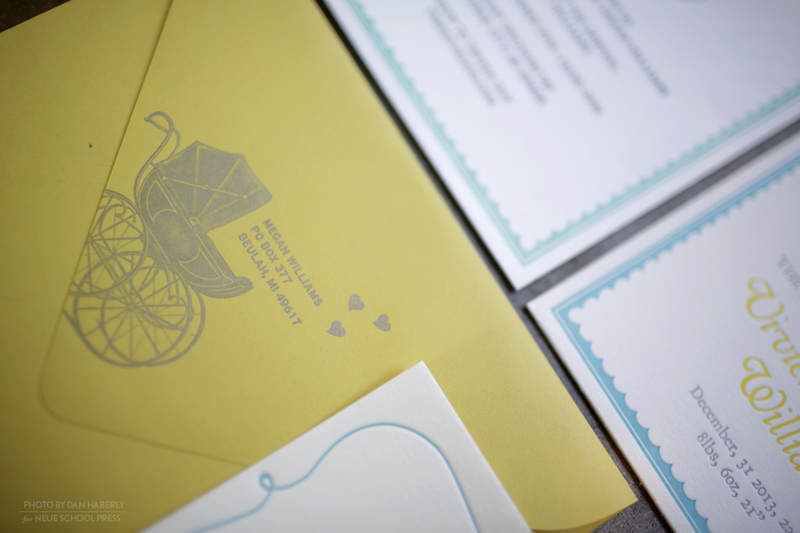 A victorian baby carriage engraving, gets a whimsical update in this baby announcement and baby shower invitation design. 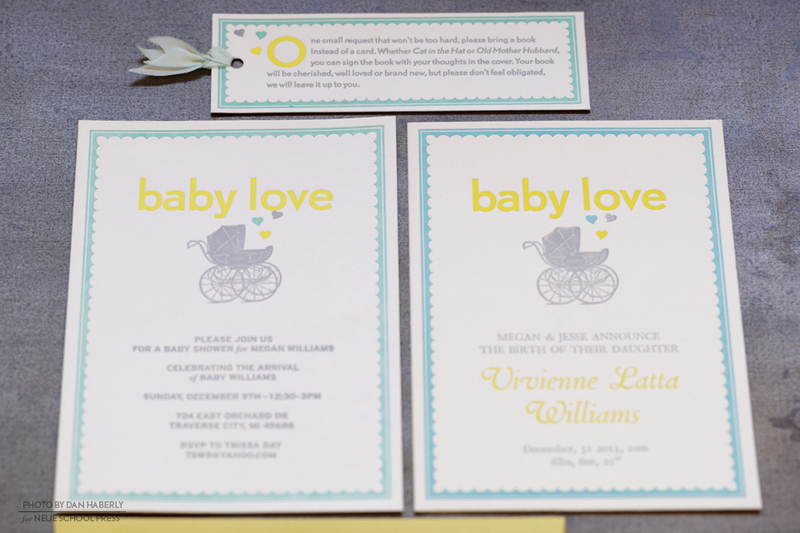 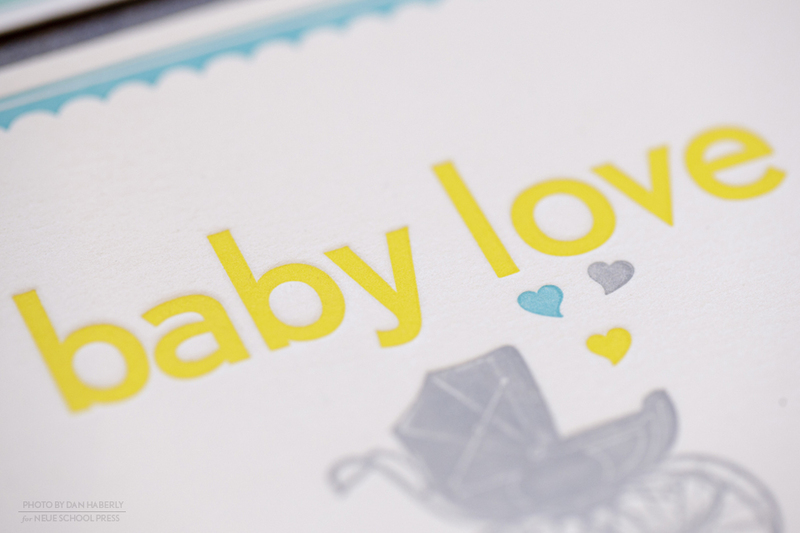 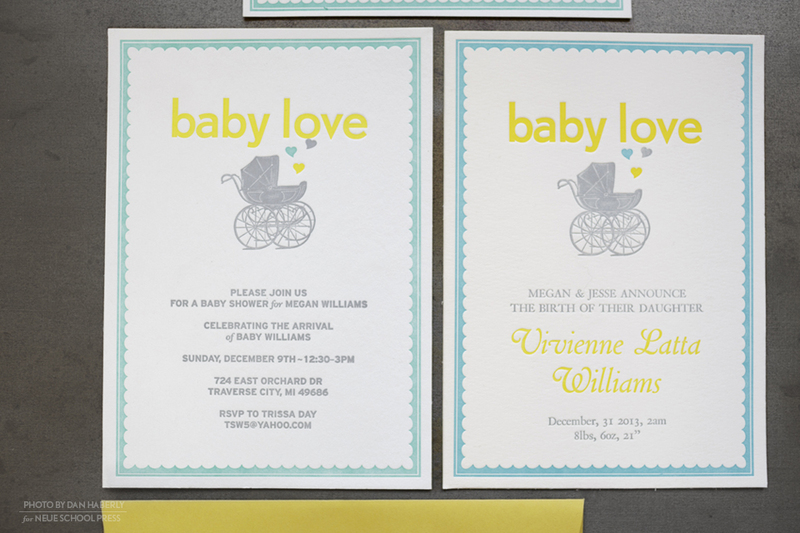 Letterpress printed in 3 colors, teal, yellow and silver–it remains gender neutral. 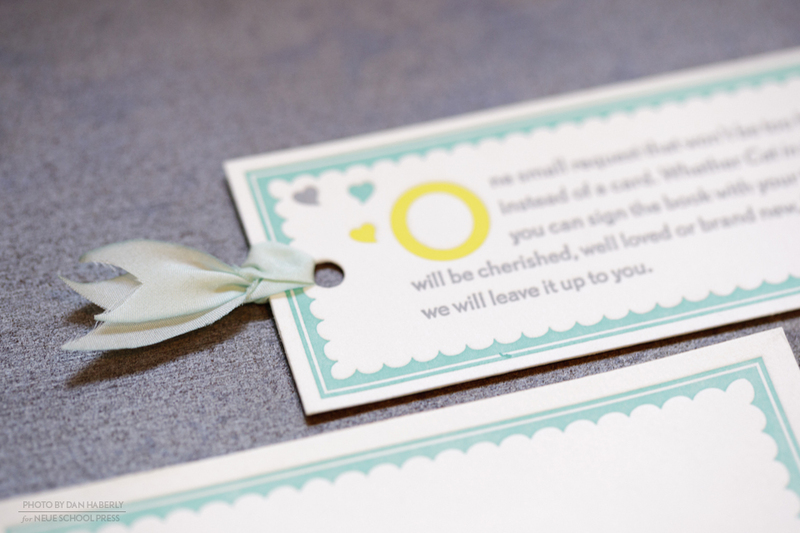 The companion bookmark playfully asks guests to share a favorite childhood book. 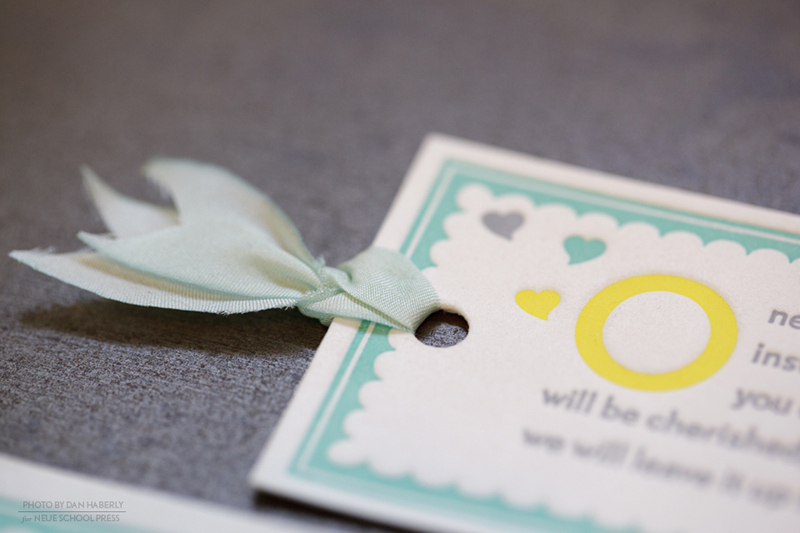 A hand-dyed, hand tied silk ribbon completes the look. 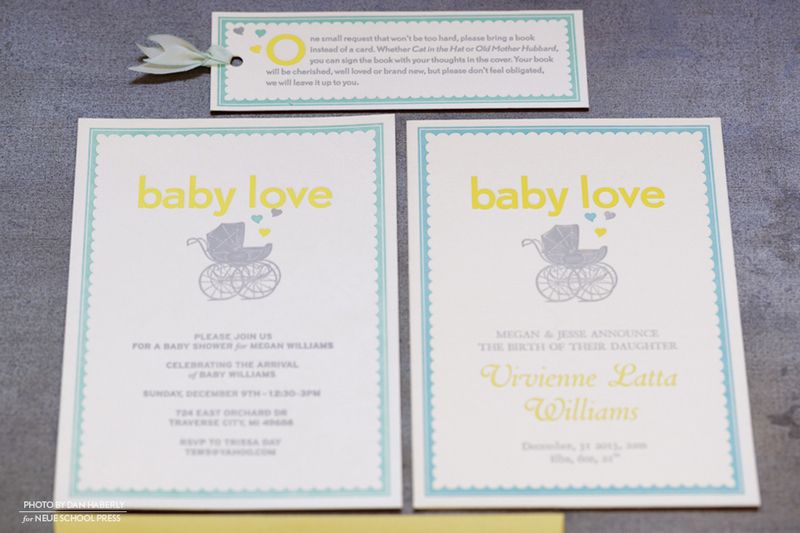 The baby announcement relies on hand-set metal type to quickly fill-in the baby’s name, birth date, weight and length after the birth. 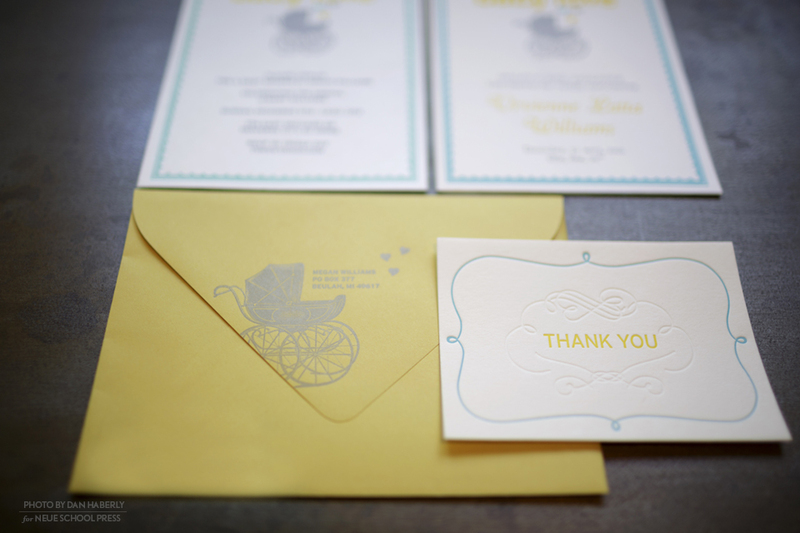 The engraving also adorns the flap of the mustard colored envelope alongside the return address.